A Little Bit etc. : A Giveaway?!!!! Say it ain't so. A Giveaway?!!!! Say it ain't so. 3. Leave a comment on this post telling me what YOUR favorite mascara is so I can go try it out because sharing is caring, right? The giveaway will end Sunday, July 29th at midnight EST. Check back Monday, July 30th to see who the winner is. The products included in this giveaway are not affiliated with the company nor were they gifted. I have received no compensation and all items were purchased by me. Already following you on Twitter and Google Friend Connect! As far as my favorite mascara goes, I love the Clinique ones - the High Lengths and the High Impact mascaras are pretty good, no clumps...and they make my eyelashes look super long! hi, great giveaway! 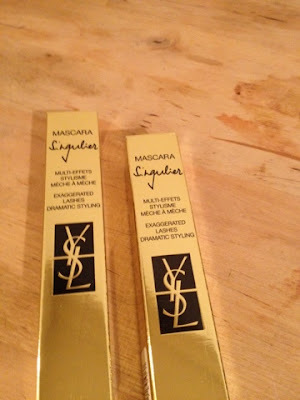 never tried YSL mascaras, i love hi end makeup, but since i've got black and long eyelashes i rarely care about the quality of mascara, i usuonlly stick with simple loreal. I do hope the giveaway is open internationally, Thanks, Radmila from Ukraine. And my fav mascara IS YSL! I love it! I have the purple one and it smells really good LOL thats why i like it so much and it makes me lashes fuller too! 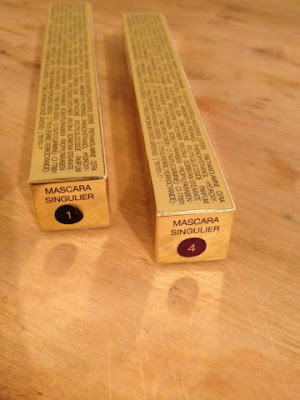 Fav mascara changes a LOT... right now I like diorshow, just the classic one. That's the one I always go back to.